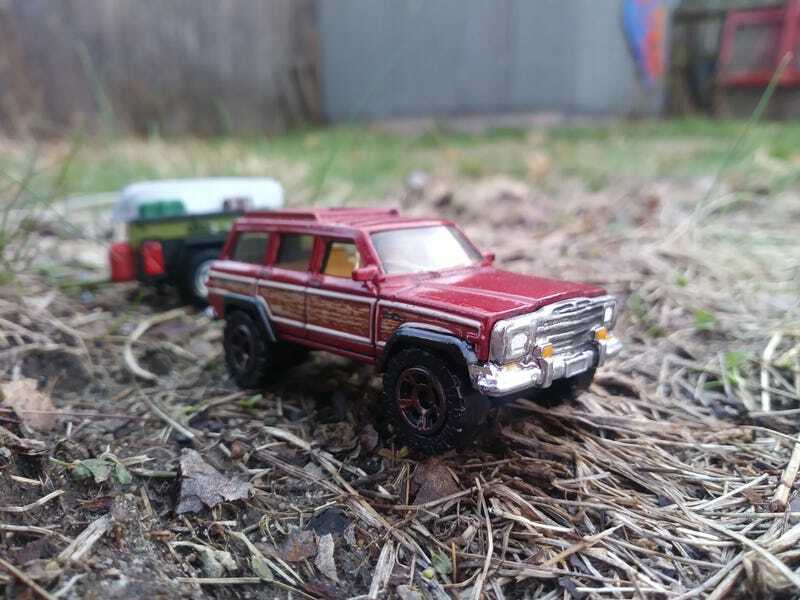 I upfitted this MBX Grand Chrokee using the fender flares, wheels and spare from an MBX Jeep Gladiator pickup. Then I painted the wheels & spare dark copper so they would match. I also recently picked up some of the Tamiya panel line accent, and while it can be annoying to work with, it works really well. I also detailed up the MBX off-road trailer to go with this, though annoyingly I put the spare in exactly the place that blocks the hitch.